What can cause the engine to overheat. Northstar engine! Stuck closed thermostat, inoperative cooling fans, internal leak from blown head gasket or crack, low coolant level, no water pump/broke belt/seized, clogged radiator. A pressure test, and a block test for presence of combustion gases in cooling system would be a start. More specific information on under what conditions it overheats might provide some insight. Or try having your mechanic take out the radiator and send it to a radiator repair shop. Most likely you have a plugged radiator specially if you use that orange colored Delco antifreeze. That type of antifreeze is more of a sugar base antifreeze, and if you do not replace it every two years it will end up plugging up the cores in your radiator. I had a Cadillac that that happened too. And when I took the radiator out it weighed close to 40 lbs it seemed like. Took it to a repair shop and they took the tanks off and boiled it in a acid bath and cleaned the cores and replaced it with new tanks and my over heating issue was solved. Okay it is weird. My dad had got the car from a good friend of his. When he first was testing it out the first day it ran hot but when he cleared out the glove box it was fine. Three weeks later I bought it after him checking it out and one week after I got it, it ran hot on me going to my dads. Now I had went like 20 to 30 miles one direction sometimes longer. Well we figures since it has a brand new water pump and fans we changed the thermostat it was fine after that. Drove for about a week and then on my way home ran hot on me again. Coolant light never came on before this so there is no leak. Ran hot so it boiled the water out. Okay someone stopped and helped us and we put water in it and temperature was fine the whole rest of the way home. The next day fine too, went a long distance to Lafayette and back which is like 20 to 30 miles there and the same back. Never ran hot back and forth to work for two days never ran hot. Checked the coolant levels before I left and it was fine. On my way back home last night ran hot again on me. After we put water in it was fine, today fine. Can anyone help me? The heads have been checked and are good. Everyone that I talk to says that it seems that is is the problem being that it is a Northstar engine, but they have been checked. Has system been pressure tested? How did you check the heads? They sell a kit that sniffs the coolant for hydrocarbons in the coolant. Is it low when you check it after driving? Does it seam to boil out of the coolant jug? My car has been overheating the last couple of days because it has been hot outside. 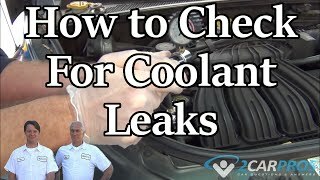 Will green antifreeze instead of Dexcool make it overheat? Will green antifreeze instead of Dexcool mess up my engine or make it overheat? I just bought this car and it has green antifreeze in it and since it has gotten hot outside last couple of days it has been overheating. We call the red Dex-Cool "Dex Mud" because that is what it can turn into. The green will be fine but it cannot be mixed with the red. The system should have been flushed when the change was made. First check that the radiator fan is turning on. Check the fins on the radiator to be sure they are not corroded away. The heads should have been check. Any lights on? How it over heating? Bubbles in the jug? Try having your mechanic take out the radiator and send it to a radiator repair shop. Most likely you have a plugged radiator specially if you use that orange colored dex cool antifreeze. That type of antifreeze is more of a sugar base antifreeze, and if you do not replace it every two years it will end up plugging up the cores in your radiator. I had a Cadillac that that happened too. And when I took the radiator out it weighed close to 40 lbs it seemed like. Took it to a repair shop and they took the tanks off and boiled it in a acid bath and cleaned the cores and replaced it with new tanks and my over heating issue was solved. I have a 98 Cadi Deville, the car was runing ok but now it is overheating. I put a new radaitor in the car becuse the top D/S of the radaitor wasn't getting hot and I thought it was cluged. After that I changed the water pump & thermostat. The car was runing good again for a short time, but now the radaitor is getting hot like normal. It takes time for the car to overheat but it still overheating. There are no signs of a bad haedgasket, no white smoke, or pressure biulding up in the coolant system. So I ask for your help with this problem. By signs of a blown headgasket, what signs are you looking for? If your coolant level is full, and your cooling fans are functional, coming on around 212, then I would recommend having the cooling system tested for the presence of combustion gases. Mysterious overheating conditions that are not corrected with normal service procedures(T-stat, external leaks), are most often result of leaking head gaskets. With the mileage that you have on the vehicle, and not knowing whether thread repair has been performed on the head bolt holes, make it more of a legitimate possibility. There may or may not be external signs, like white smoke, leaks at the sealing area, or excess pressure, to indicate. Especially since it takes time to overheat. The signs you may be looking for are indications of accelerated problems. This car has been having overheating problems since I got it about 3 weeks ago. We have changed the thermostat. Talked to the mechanic that the car was brought to and he says it's unsolved mystery with this car. He changed the water pump 3 times and has pressure checked the car leaks and tested for head damage. Everything is fine. Changed the thermostat numerous times. He has even aked advice from like 3 other mechanics and they can't figure it out. Well this is the problem. The car doenst run hot till after about an hour of running it constantly. The water I guess boils out of it when it runs hot and we put more water in it and runs fine for another hour. Or so. Checked the fans also. They come on when you turn the ac on. We have even tried to connect a toggle switch thinking maybe it don't come on sometimes. Dindn't fix the problem. Checked the purge line and it's fine. And the hoses aren't collapsing. Can anyone suggest anything or give any answers to what seems to be the problem. Also when he takes the radiator top hose off and puts it in a bucket no water comes out until it heats up which I guess the thermostat is opening up and just a little comes out. When he accelerates the car more comes out and then it just stops. Could the radiator be plugged or is it something else. Try having your mechanic take out the radiator and send it to a radiator repair shop. Most likely you have a plugged radiator specially if you use that orange colored delco antifreeze. That type of antifreeze is more of a sugar base antifreeze, and if you dont replace it every 2 years it will end up plugging up the cores in your radiator. I had a Cadillac that that happened too. And when I took the radiator out it weighed close to 40 lbs it seemed like. Took it to a repair shop and they took the tanks off and boiled it in a acid bath and cleaned the cores and replaced it with new tanks and my over heating issue was solved.